Who Else Wants to Claim Their Share of the Golf Goldmine? Follow My Proven Steps For Your Best Chance To Have Money Pouring In While Having A Great Lifestyle From The Lucrative Golf Niche… Even If You’ve Never Owned A Business, Hate Technical Stuff, And Aren’t That Good At Golf! What if… you turned on your computer this morning to check your emails AND instead of SPAM emails, you get email after email saying you’ve got money. Then every 5 minutes you check your emails again and new order emails are flooding in. Before this happened to me 15 years ago, I would have thought so too. 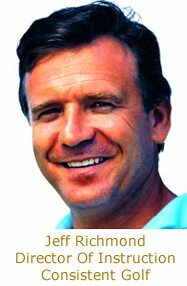 Hi, I’m Jeff Richmond, and I run a successful 6 figure online golf business (http://www.ConsistentGolf.com is my main website) and I want to teach you how to do the same, for reasons that will become obvious in a minute. But first, here’s my story…. 18 years ago I was the typical “worker” slaving away for someone else only to get a paycheck that did little more than pay the bills. And that was working two jobs (one in the golf industry)! I was getting exhausted working 7 days a week and dreamed of a better lifestyle. One where I could work from home, have money flowing in, and more importantly — have the freedom to do what I wanted, when I wanted. basically enjoying life without a care in the world. And that was my dream too. BUT I had never met anyone who actually did that. Stupidly I shared my dream with my extended family, and all of them said I should just be happy with my jobs and work my way up. Yeah, that sounds like fun! But without a college education, and having a wife and kids to support, things didn’t exactly look peachy. So I kept on dreaming anyway, because I was miserable working for other people and making them rich while I was just making ends meet. Then one day, by chance, I saw an ad by a guy claiming to make $4,000 a day sitting at his kitchen table in his underwear! It sounded farfetched and I had very little money. But I made a decision to get his big system, which was around $700 from memory. When the system arrived I devoured it. This system taught Niche Marketing, which I’d never heard of before that. And the only niche I knew anything about was golf, as I had been playing golf since I was 9 years old. So after discovering that you can make money from your hobby, I took the plunge and created my first golf information product which I put on a CD and would send to people. I sold that golf product on ebay. This was back in 1999 and I only put this book on CD because I had no money to publish the book. Amazingly, I started selling this golf book so then I decided to start up a website and sell my book and other golf products and things just took off from there. Within a year we went from living in crappy trailer park to living in a beautiful home. And today, I have over 100,000 people on my email list. See, I have money coming in CONSISTENTLY day after day, month after month, year after year. I work when I want, where I want. I can go on holiday when I want. I can work how long I want and the money will still come flooding in. when I was working my normal 4 hours a day. This is True Freedom Folks! But because I know what it’s like to be tight on cash…. and because I know what it’s like to want a golf business but have no idea how to have one, I have been wracking my brains to figure out how I could help people to have a successful online golf business like I have. And I have come up with the solution, which I’ll tell you about in a second. But why would I want YOU to have a successful online golf business in the first place? Aren’t I just creating more competition for myself? If a person (that doesn’t run a successful golf website) looks at the golf space online, they will think it’s overcrowded. But from someone that has been in the golf marketplace online since 1999 I will tell you it’s only overcrowded with crappy, useless golf websites. "There aren't enough GOOD golf websites online"
I’m always on the lookout for great golf products to promote to my golf list, because there’s a shortage of them. So I want to train you up to have a successful golf business, so I can promote what you’re doing (for a share of the profits) and in return hopefully you will promote me and my golf products to your customers (again, for a share of the profits). See… it’s a win/win deal. And when you have your own successful online golf business, your income potential is virtually UNLIMITED. I personally am happy earning well over 6 figures per year without any employees or hassles. You on the other hand may want to have a million dollar golf business, with an office and employees etc. The choice will be yours when I show you what to do. Either way, you’ll have the freedom you want and live life on your terms. And because you enjoy golf, you’ll be doing something that you’re passionate about, rather than just punching the clock to pay the bills. 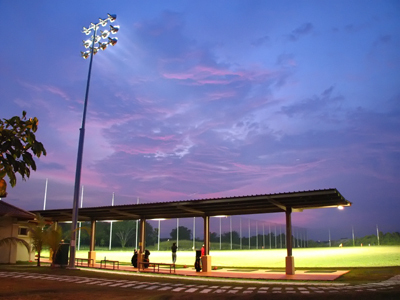 Golf Driving Range Setup Costs – $138,150 to $461,825. I was just looking at a golf driving range franchise and they said the setup costs are: $138,150 to $461,825. And then you have ongoing franchise fees on top of that, not to mention operating costs, employee costs etc., etc! The beauty about an online golf business is that the startup costs are very, very low. Which is a big reason why there are so many crappy golf websites around. But trust me, there’s plenty of room for another great golf website. And today there is no technological barrier if that’s your concern. Because you can outsource setting up a website and everything else involved. You don’t need any technical knowledge, apart from explaining the job you want done and have the right places to go to get the job done. I will give you both of these things in my new golf business training program. But to Succeed in the Golf Niche QUICKLY You Need to Learn From Someone That has Been There and Done That - Which is Me! Back in the 90’s when I was learning about niche marketing, I had to learn everything about marketing in the golf niche. And it took me a very long time (about 3 years from the time I first learned about niche marketing) to get everything together to the point where I was consistently making good money. What I’m offering you here is realistically your only chance of having a super successful online golf business. Because to my knowledge, there is not another product on the market that will teach you EVERYTHING you need to know to have a successful online golf business – from someone that is currently doing it. And to help create enough diversity and points of difference with my students, I showcase 12 different types of online golf businesses that you could model… so not everyone will be doing the same thing. Now if I were to just give you everything you needed to have a successful online golf business, it would be very overwhelming, and the chances of you succeeding would be almost zero. So to greatly increase your odds I have created a weekly coaching program, where I give you one lesson each week so you can start to build your own successful golf business, one step at a time. But at this point you may very well be thinking, this sounds great and all but… you have a few concerns that need addressing. I understand completely, because before I started my golf business I was very insecure and uncertain about what I was about to do. In fact, I’ll let you in on a little secret. A week or so before I was about to launch my golf business, I saw an ad in a golf magazine for a product very similar to the one I was about to launch. So I almost called it off then and there. Boy am I glad I didn’t! Before I started online, I never owned a business and knew nothing about running one. I was terrified! But now, years later, I can look back and honestly say I have no idea what I was worried about. Because everything that I’m NOT good at in running a business (like accounting) I simply outsource and get someone else to do it. That leaves me free to focus on making more sales and improving my profits, and you simply need to do the same. One of the best selling golf products on Clickbank for years, that sold thousands and thousands of copies, was from a guy that was not a pro. In fact, he celebrated the fact that he was just an AVERAGE golfer that stumbled upon a way to help golfers hit the ball better and more consistently. And that’s just one example of a person, with limited golf skills, making great money in the golf niche. In my coaching program I show you a lot more. And I’m a college dropout. So if I can do this, almost anyone can with the right knowledge given to them. Here’s a little secret… I don’t have the technical skills to build a website. From the beginning I have hired out the work of getting a website created to someone that knows how to do it. And in my coaching program not only do I give you all the details of what is needed for a new website, so you can outsource it to get it done…. but I tell you where to go and what to do say to get it done right the first time, for a lot less than you’d expect. It’s so simple and cheap to get a great looking website created these day’s that this is no barrier for anyone. And to be honest, it’s almost better if you don’t know how to create a website, because that leaves you free to focus on making money! Look, here’s the deal about competition in the golf marketplace. Yes, it’s competitive. And there’s a big reason for that…. there’s LOT’S of money to be made! If you find a market that is not very competitive then I can almost guarantee you, it’s because there’s no money to be made. As I have already said, there’s loads of crappy golf websites out there, but a shortage of great golf websites with great products. That’s what I want to help you create, so you will stand out and make a great living from the lucrative golf niche. If you’re over the age of 50 and think you’re too old for this, then don’t let that put you off. And here’s why. The average golfer that spends the most amount of money is aged between 40 – 70. If you’re in that age group then you can easily identify with the ideal golfer you want to be targeting. And if you think you’re too young, don’t let that put you off either because when I first started up my golf business, I thought I was too young and I’m super glad I didn’t wait. I was amazed at the respect I got as a golf teacher, despite being young. The bottom line with these myths is that really they are just excuses. Because if you really want something then you’ll just do it anyway, even though you’re feeling concerned or worried. You’ve got to see any possible hurdles as merely a challenge that you can overcome. And I’m so glad I did it anyway, because looking back I can see that my unfounded worries were exactly that… unfounded. As soon as you join this coaching program you will get a quick and easy to follow fast start guide, so you can start to get your golf business up and and running as soon as possible… and you can start to make money ASAP! If you’re worried about having to create your own product, you don’t need to. Because in this blueprint I outline how you can either create a product really, really quickly and easily, or get one made for you. With the 3 product creation options I reveal in this report, it’s so simple, anyone can do it. In this plan you’ll discover the main traffic strategy that you’ll be learning in this coaching program. But more importantly, you’ll discover 13 action steps you can use now to help you get fast and free traffic to your golf website. In all, there are eight “business changers” – any one of which can “positively alter the overall outcome” of your new internet golf business! Every lesson you receive includes small tasks for you to complete to build a real successful online golf business, and every lesson carries on from the previous lesson so the lessons build upon one another. Because you’re going to get bite-sized lessons that sequentially carry on from one to the next, it will mean you will be more likely to actually take action. Look, to have a successful online golf business you need the right advice and then to take action. By giving you small tasks to do each week, you will have the right advice, and therefore the most chance of building a successful online golf business. As you complete the tasks in these weekly lessons, you’ll see your online golf business come to life before your eyes. Each week you’ll see something new being added to your golf business. You will see tangible results and that will be exciting for you and help you to keep motivated and moving forward. You’ll be following a proven, systematic, weekly plan of action that will help you to build a successful online golf business. In this coaching program you get PDFs, videos and audios so it caters for all the different learning styles. Each lesson you get you’re going to receive all the instructions you need to complete the tasks for the week. Nothing is left out. As soon as you join you’ll immediately get all the bonuses and lesson 1, in which you’re going to discover…. You’ll get a 5 pronged, proven internet success formula for golf. This will give your new golf business a clear direction and path, which will help you to shortcut your way to profit. You’ll get the key to a great, profitable, long term, successful golf business, so you can stay focused on what is needed to make big money in the shortest possible time. You’ll discover how to use YOUR strengths to create an online golf business with the most chance of success. You’re given the exact profile of the type of golfer you should be targeting in your online golf business, so you make the most money possible. You’re told where your ideal golf prospect is, what they are doing and what search terms they are looking for, so you can hone in on giving them exactly what they want in return for their cash. You’re told how a multimillion dollar online golf business does it so you can replicate their success if you want. You’re shown 12 different online golf business models for you to choose from for your new online golf business, so you can easily choose the best golf business model for you. And this will give you the most chance of success. You’re given help and advice to pick the best online golf business model for you and your monetary goals. This is so you don’t waste your time on a golf business model that will never give you the finances you’re looking for. In this lesson, you’re taught how to create your own information product for golf. Because no matter what golf business model you choose, you should have an information product to help you get leads. And an online golf information product is great no matter what, because…. You get almost 100% profit. You have no inventory to store. There’s no shipping costs or delays. It’s quick, simple, and inexpensive to produce. Also in lesson 3, you’re given a quick, simple and easy formula to help you start to create a page where you will either sell or give away your golf information product, to get golfers on your email list. You get proven templates to help you come up with a great title for your new information golf product, so it quickly and easily attracts attention and separates your golf product/service from the crowd. You’re given a template for your new information product, and you simply need to fill in the blanks to make it faster and easier for you. You’re shown a lot of examples and given templates, to help you create the page where you’re going to sell or give away your golf information product. You’re given simply step-by-step instructions, to help you start setting up your new golf website – and anyone of any technical ability can do this. You’ll learn lots of tricks on how you can increase the perceived value of your golf product, so you can sell it for more and make more money. You’ll learn where you should register your new golf website. You’ll learn where you should host your new golf website. You’ll discover how to choose the best domain name for your new golf website. You’ll find out what you have to do to get the most people promoting your product/service as possible. Learn how to bulk up your product so you can earn more money from it. Get 6 steps that will show you how to setup your new golf website so it’s live. This is so simple anyone of any technical ability can do it. As long as you can follow simple step-by-step instructions, you’ll be able to get your own golf website live. Discover 7 simple things you can do so golfers will enjoy your new golf product more. A secret place to find copywriters for hire at great prices. Find out how to get golfers begging to buy your product or service NOW! In this lesson I get you to start to put the finishing touches to what you’ve done, so your new internet golf business is ready for golfers all around the world. In this lesson you’ll…. Get a 9 part video series that shows you step-by-step how to create videos to put on your website. Discover what you must do to get golfers to order now and not put off getting your product or service. 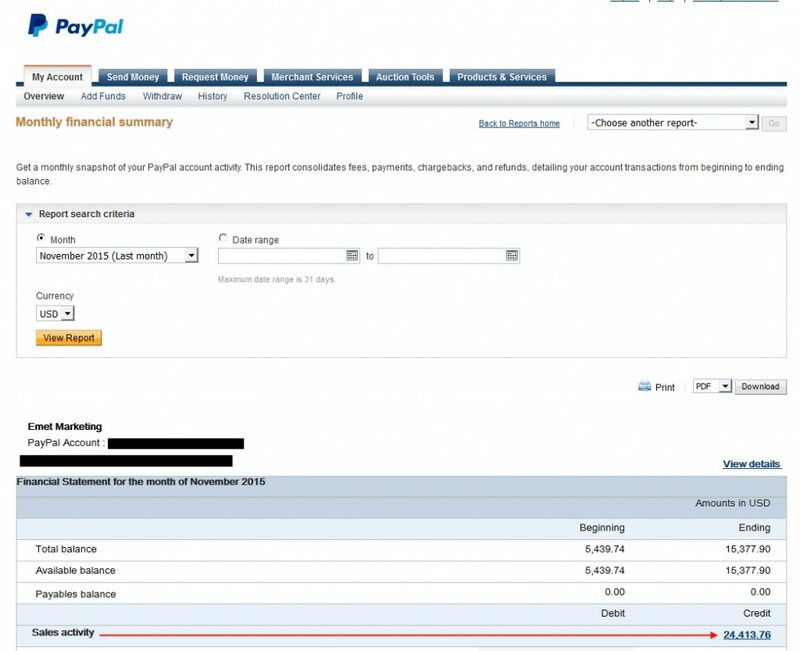 Find out how to setup an online support system for free! By the end of this lesson, you will have 8 new pages on your golf website that will allow you to be ready to start making money or getting leads that you can sell to over and over again. You’ll get 24 ways to bulk up your golf information product to make it look more impressive, so you can make more money from it or get more credibility. You’ll be shown how to track your page conversion stats, so you can try to improve them and make more money from every visitor. You get a checklist so you can make sure your sales copy is going to have the best chance of success from the start. You get 7 tips so you’re never short of ideas on new products to create. You will find out how to re-brand this product so it is unique and stands out from the rest of the golf products out there. You will get a step-by-step guide to help you start making money as soon as possible with this golf product I’m giving you. You’ll get a checklist that you must go through before you try to get any traffic to your website. This will allow you to be 100% positive that you’re going to be in the best possible position to make money as soon as possible. From lesson 10 onwards, you’re going to get everything you need to get traffic to your website and to make that traffic do what you want them to do. For example, in lesson 10 you get 18 strategies you can use to get virtually instant traffic to your new golf website. And I pick out the top 3 ways and give you in depth instructions on what you need to do, so you can get traffic to your new golf website fast. Now remember, I want you to be successful with your own products so I can sell them to my own 100,000+ golfers email list. But to do this you need to get started now, because after you complete this first lesson you’ll start to see your new successful golf business come to life. You don’t need to buy anything else once you join, apart from the costs of setting up your own website. To do this it will cost under $300. That is to get a website looking like the one you’re on at the moment or better. Plus as far as skills are concerned… if you can use the internet then you will have no problem following the instructions in this program, because they’re simple and straight forward. So who is this internet golf coaching program for? This coaching program is for people who want to setup a real golf internet business the right way, the first time. It’s also newbie friendly too. This coaching program is for people who have maybe had some success online, but see people making a lot of money in the golf niche and want to know how they really did it so they can do it too. 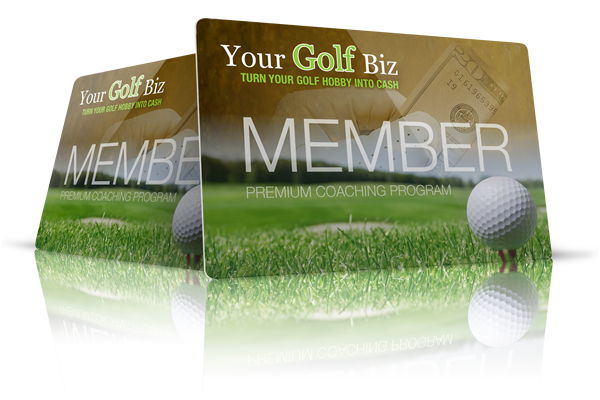 If you’re already in the golf niche and you want to improve your profits, then this is the program for you.This coaching program is for people who want a successful golf internet business, but are confused and frustrated about how to build one. This coaching program is for people who have a golf blog and can’t figure out how to make a lot of money with it. This will give you clarity and a focused way to really build a successful golf internet business. This coaching program is for people who want to make the most money possible from each visitor to their website. This coaching program is for people who want to get large amounts of traffic to their golf website for free.If you want to know how to turn visitors into sales, then this coaching program is definitely for you. You hate seeing others telling you how it’s so easy to make lots of money online, when you’re struggling so hard just to make ends meet. You hate not having freedom with your finances and your time, to do what you want when you want. You hate working so hard for so little reward.You hate being confused and going from one thing to another and wasting so much time on over-hyped, under-delivering internet marketing products. You hate your job and would love to do something in an industry you love.You hate not being able to spend precious time with your family. Bonus Gift # 6 - Free Email Support From Me! As a student of mine you will get my personal email address so you can email any questions you have. I will not pass you off to some $10 support person. Because I have a vested interest in helping you succeed, I want to be here to answer your questions. So as you’re going through the lessons, if you have any questions just email me and I’ll answer them for you. Clearly this is a huge advantage, and one you will want to take advantage of when you join today. Naturally, once I get to a certain point were this personal touch is taking up too much of my valuable time, I will remove this extremely valuable bonus. But when you join right now you’ll be guaranteed to be able to ask me any questions at any time, about building up your own successful Internet golf business. Now because this is the only golf business program of its type in the world, you’re probably concerned that this is going to be way out of your price range. And to be honest, you have every right to be concerned too, because I earn well over six figures every year, working less than 20 hours a week, and you’ve seen proof of the PASSIVE INCOME I get month after month after month. But because I want as many people as possible, who are serious about a having a successful online golf business, to go through this program so we can both benefit, I have decided that you can join right now for just $97 per month. 1st Month – $97 then $97 every month for 11 further months. But you can cancel at at anytime and this is backed up by my 60 day money back guarantee. There’s no long term commitments with this. You can cancel at anytime. The cost of this coaching each month is about the cost of a family meal at a decent restaurant, which is extremely fair when you consider you have the best chance you’ll ever have to build at least a 6 figure a year plus online golf business. So if you want the best chance to replicate what I’ve done in the golf niche, then it’s just $97 to join and that includes unlimited email support. I’m here to hold your hand and make sure your new golf business is a success. Because when you succeed I succeed. However, it must be pointed out, for you to get good results with this program you must put in the hard work to do what I say plus, you must do exactly as I say, to a very high standard. I know that is common sense, but I don’t want anyone joining this who thinks this is a quick fix or magic bullet. It’s not. So now you understand that, if you’re on the fence you most certainly are free to try it out. Because the full program takes 12 months to go through, so you can cancel anytime you choose if you are not happy for any reason. Your Money Will Be Refunded Within 60 Days If You’re Unhappy For Any Reason With This Golf Business Coaching Program. Look, Clickbank is securely handling the payments of this new golf business coaching program, and this means I play by their rules. And their rules state that I’ve got to offer you a 60 day, money back guarantee. I stand behind my new golf business coaching program 100%, and I know you’ll be completely thrilled with the content, and more importantly, the results. However, for your peace of mind, please note that a refund is available anytime within the next 60 days, by simply emailing me or Clickbank if you’re dissatisfied for any reason. And understand that at anytime during the full program, if you want to cancel you can either email me or contact Clickbank and your membership will be cancelled quickly and without any hassles. Once you’re in this coaching program I don’t think for a second you’ll ask for a refund. Yes Jeff. I want to learn how to build a successful internet based golf business. After you have completed your order you will receive your first lesson, plus bonuses, instantly. *Every effort has been made to accurately represent this product and its potential. Please remember that each individual’s success depends on his or her background, dedication, desire and motivation. As with any business endeavor, there is no certain guarantee that you will earn money and by ordering you acknowledge that you have read and agree to the legal disclaimers below. Look, the fact that you’ve read up until this point must mean that you’re truly interested in having a successful golf internet business. So do yourself a favor and join this coaching program right now while you still can, because if you don’t click here to join now (1st Month – $97 then $97 every month for 11 further months. But you can cancel at at anytime and this is backed up by my 60 day money back guarantee) you may forget and miss out. And if you don’t take action right now and secure yourself a spot in this exclusive coaching program, will anything in your life really change? In 12 months time will you look back on this and kick yourself if you’re in exactly the same job, or situation, doing and achieving exactly the same things? If you’re not willing to invest just $97 per month to learn how to have a successful online golf business from someone that has done it, then you’re probably not really serious about doing it. And just think, with the golf product I’m giving you in lesson 9 of this coaching program, you’ll only have to make a little over 2 sales per month to cover the costs of this coaching program. So look, this is your chance to take action right now and start living your life on your terms. This is your chance to learn how to make a great living with a real, successful internet golf business. And by learning how do this, you’re going to earn the money you deserve to be earning. You’re going to have the freedom to do what you want, when you want. You’re not going to get any of this until you take action right this minute and… Click Here to join the online golf Business coaching program. 1st Month – $97 then $97 every month for 11 further months. But you can cancel at at anytime and this is backed up by my 60 day money back guarantee. Remember, I truly want to help you succeed with this. And besides, the worst that can happen by you joining this program today, is you get your money back. When you look at it that way there really is only one logical thing to do… click here to join this program now (1st Month – $97 then $97 every month for 11 further months. But you can cancel at at anytime and this is backed up by my 60 day money back guarantee) and start to build your successful golf Internet business today. P.S. In my coaching program I will get you to take the steps necessary to build a successful golf internet business. Not a one hit wonder. But I can take only so many people into this program while it’s still available, so make sure you click here to join now. 1st Month – $97 then $97 every month for 11 further months. But you can cancel at at anytime and this is backed up by my 60 day money back guarantee.